Precision Engineerings own custom CNC parts for your Datsun/Nissan Z. All of our parts are made in house to exacting standards. When you buy from Precision Engineering you are buying parts that are 100% made in the USA. Don't see a part listed or have a custom job contact us today for pricing. 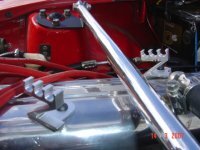 Z Shaped to hold your choke cables securely in place. 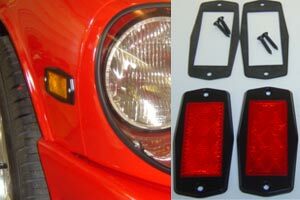 Flush mount blinker/marker lights add zing to your Z.